Model Number JPT 17B with Drop Sides . WITH NEW 185X14" 8 PLY LT TYRES & NEW RIMS = $4165 INC LICENCE. 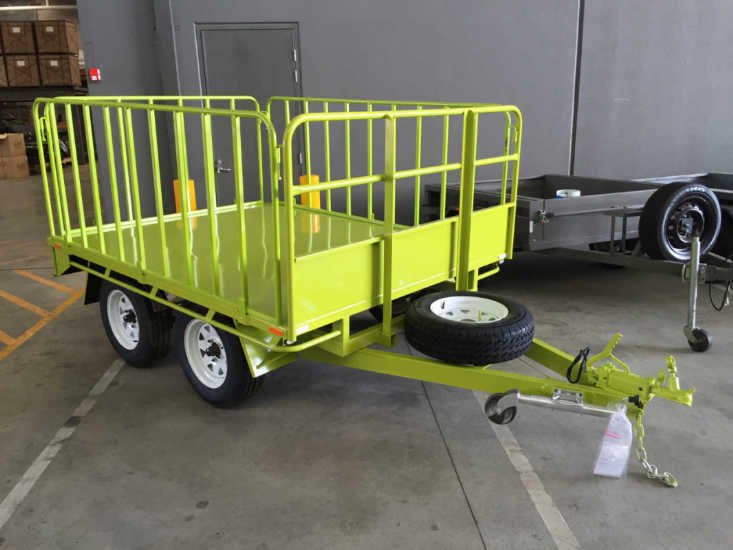 PRICE WITH SECOND HAND RIMS & TYRES = $5520 INC LICENCE. WITH 4 NEW 235/85X16" 8 PLY LT TYRES & NEW RIMS = $6320 INC LICENCE. 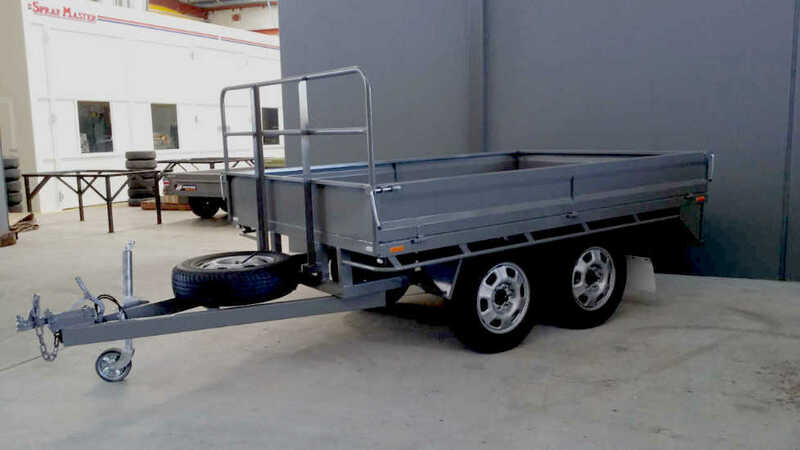 *8x6 Flat Top H/Duty Tandem Trailer. 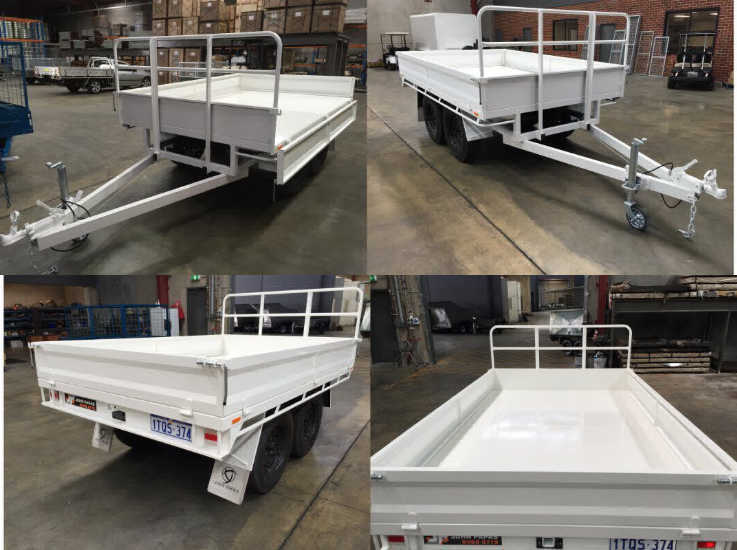 *10x6 Flat Top H/Duty Tandem Trailer. *Rims & Tyres: 16" Used or New. *Heavy Duty Swivel Jockey Wheel.